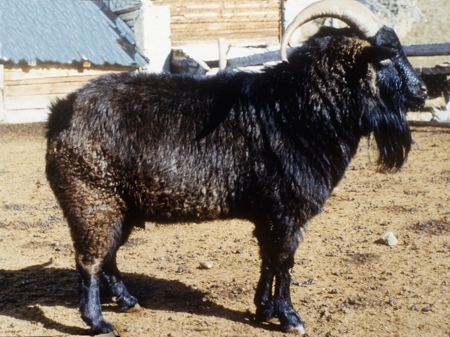 Wool of Altai Mountain goats has high technical qualities and is a valuable commodity for light industry. The breaking length of the Altai mountain goat's wool is around nine centimeters- this is true for both males and females. The guard hairs are black and the true wool is a dark gray color.